Connor McDavid completed a record-setting National Hockey League scoring start to the season Tuesday with two goals and two assists in Edmonton's 5-4 over-time victory at Winnipeg. The 21-year-old Canadian centre became the first player in NHL history to either score or assist on nine consecutive goals for a team to begin a season by contributing on the Oilers' first four markers against the Jets. But it was Darnell Nurse's goal 85 seconds into over-time that lifted the Oilers to victory, lifting Edmonton to 2-2 on the season as it snapped McDavid's streak. McDavid broke the old mark of contributing on a team's first seven goals of a season set by Detroit's Adam Oates in 1986. "You know what, it's whatever. 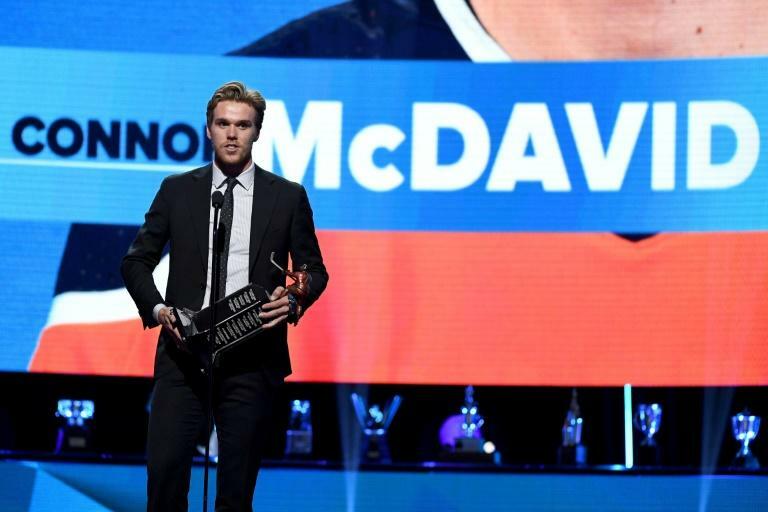 I'm not overly proud of it," McDavid said. "I don't think it's a stat we should be proud of either. "It is what it is, but we found a way to get a goal there at the end so we don't ever have to talk about it again." Edmonton goaltender Cam Talbot made 29 saves but the Jets led 4-1 after two periods. Oilers forward Ty Rattie made it 4-2 on a centering pass from McDavid 18 seconds into the third. McDavid, who opened the Oilers' scoring 12:49 into the game, then pulled the visitors within 4-3 on a power play at 2:28 and assisted on forward Jesse Puljujarvi's tying goal at 13:39 to deadlock the contest. "He's our captain, he's our leader, he's in my opinion the best player on Earth right now and he decided that he was going to will his team to a win," Oilers coach Todd McLellan said. Jets forward Blake Wheeler marveled at how McDavid seized command of the game in the third period when Winnipeg enjoyed a three-goal edge. "It's pretty special," Wheeler said. "You don't feel like he's having much impact on the game and he already has a goal. And then like that, there's a four-point night. It just shows you how special he is. You can't take your eye off him for a second. "The speed obviously is incredible. He just makes so many little plays happen. Trying to keep him off the board is a tough challenge. You try to do the best you can."